HerbVapers Daily Dry Herb, Oils, & Wax Vaporizer Deals! The Airistech Clevea is a great little device that’s portable and perfect for tokers on the go. First of all this is actually a 3-in-one device that works great for your favorite waxes and oils, as well as your dry herbs. It has a ceramic chamber so you can rest assured that it’s truly vaporizing your herbs without burning them. Additionally it fits great in your pockets and has a decent sized battery to get your fix. Plus you can charge it up practically anywhere due to the fact that it utilizes a standard micro USB connection! Subscribe to our Herbal Vape Deals Newsletter! 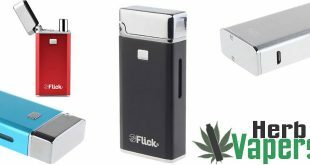 New Posts And More Herbal Vape Deals! HerbVapers is a free daily herbal vape deals website for tokers. 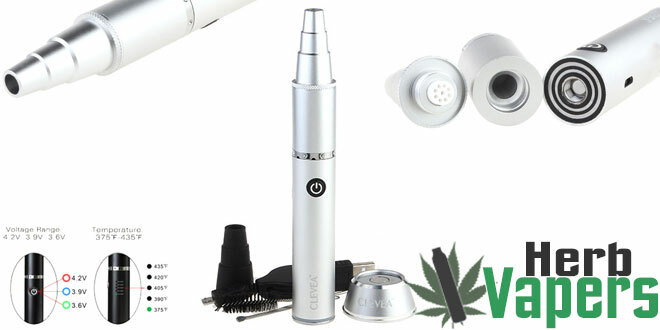 Here you'll find the best deals every day on the latest herb vaping gear and more! However we are a for-profit business and as such employ the use of advertising, affiliate links, and banners to bring in revenue. This goes to cover the server costs and allows us to keep HerbVapers up running for you to enjoy. The daily deals we post are not biased based on the revenue we stand to gain from a particular product. ©2019 HerbVapers. All Rights Reserved.